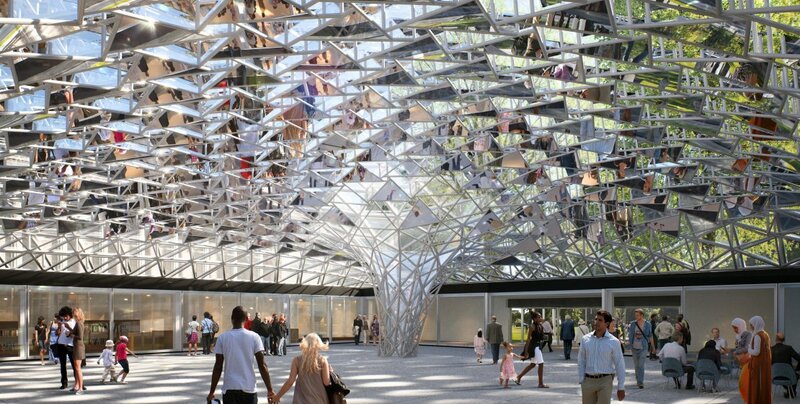 A rendering shows a new mirrored and clear glass roof created by Danish-Icelandic artist Olafur Eliasson for the Albright-Knox Art Gallery’s current courtyard. For the past decade, the Albright-Knox Art Gallery has been mulling expansion plans. But now it’s getting real. The gallery announced Thursday that when construction begins late this year — likely in November — the current buildings will close for a period of at least two years. That might seem like bad news for art fans, but it’s tempered by two simultaneous announcements. First, the gallery is planning a series of community exhibitions and activities and has leased a space in the Northland Corridor for site-specific installations and shows. Second, it has commissioned the renowned Danish-Icelandic artist Olafur Eliasson to create a monumental sculpture of clear and mirrored glass over the gallery’s current courtyard. See the Albright-Knox’s vision for its long-awaited expansion in this photo gallery.